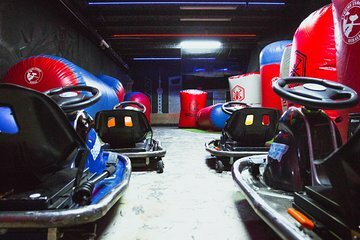 Put your pedal to the metal and try your hand at drift karting at Thrillzone’s indoor kart track. Race against your friends and family around the obstacle-filled track or enter ‘360° Drift’ mode, which lets you drift in all directions – diagonally, sideways, even round and round in circles. Take time out from seeing the sights and cut loose on the asphalt.